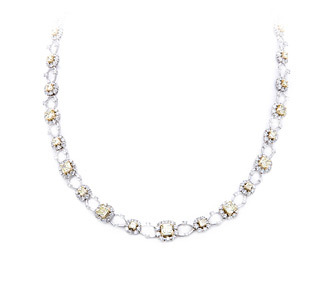 This stunning white gold and yellow diamond bridal jewelry necklace features over six carats of natural fancy yellow princess cut diamonds and nearly eight carats of white diamond accents. 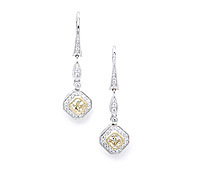 Borrow bridal jewelry for your big day, look fabulous and SAVE! 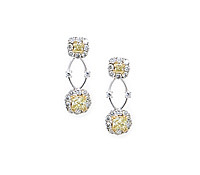 Diamonds: Fancy Yellow & White 14.02 TW | Gold: 18K White & Yellow| Length: 16 1/4 in.